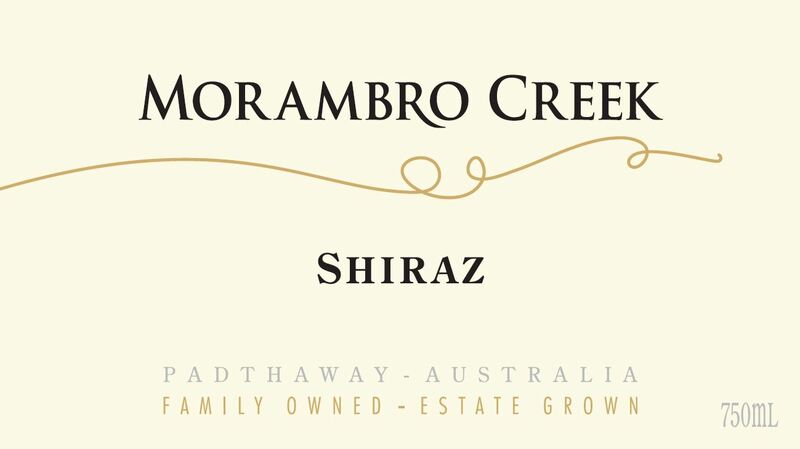 Morambro Creek Padthaway Shiraz is made from 100 percent Shiraz. Deep inky black & purple in colour. The nose is perfumed with violet, blackberry, vanilla and spice with a touch of earth and liquorice over white pepper in the background. Expansive palate, smooth lush ripe back fruits nicely balanced oak, plenty of concentration with a long finish. Winemaking at Morambro Creek is very traditional and labor intensive. Oak maturation takes place using 35% new barrels both French and American. This blend was put together using select barrels from our family estate that best demonstrate the intensity of our fruit balanced by integrated oak. excellent with barbecued pork, beef, venisson as well as grilled vegetables. The property was founded in 1994 by the Bryson Family who first settled in the Padthaway region in 1955. In the early 1990's the Brysons decided to take the plunge and plant vines on the property. Initially their plan was to sell these grapes to the big wine producers but after a few vintages, the desire to see the fruits of their labour turned into their own wine, was just too great for them to resist. In 1998 they held onto a small selection of their fruits and sent it to the Cape Jaffa Winery to be made into wine. Morambro Creek was born, the name coming from the creek that meanders through the property. They farm 420 acres, separated into two plots each of 210 acres, about 7-8 kilometers apart. The vines enjoy a cool Mediterranean climate with plentiful winter / spring rainfall and the limestone subsoil that provides the excellent drainage. The grapes varieties cultivated here are Chardonnay, Cabernet Sauvignon and Shiraz. At Morambro Creek, their sole objective is to produce the best wines possible from their unique vineyard site. Planted on own rootstock and located in the Padthaway valley which is comprised of rich Terra Rosa soils their estate vineyard benefits from excellent sun exposure producing grapes of optimum flavor, color and tannin development. The warm summer days are moderated each evening by coastal winds that cool the vines and result in a longer ripening period. This extended period allows for the grape tannins and seed to fully ripen prior to being harvested, thus creating wines that are rich and supple on the palate. Their pursuit of great wine can also be seen in the meticulous management of their vineyard. They strive for low crop yields and small grape bunches of intense flavor, and whilst they employ the latest technology in the vineyard to help them achieve vine balance and reduced vigor, they harvest when the fruit reaches full flavor development.